Check back in Fall 2019 for more information on the Xtreme Wrestling Gold and Silver level programs! 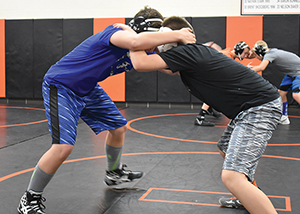 Sponsored by the Byron Park District and staffed by the Byron Wrestling Association, this program is designed for wrestlers with a variety of skill levels, who want to be more competitive in the sport or just want to learn about wrestling. Xtreme Gold wrestlers are encouraged to compete in sanctioned tournaments, offered weekly from December through early March, but they are NOT required to attend all tournaments. Some of our Gold wrestlers have goals to become the IKWF State Champion while others just want to have fun while learning about wrestling. We welcome ALL wrestlers into the Xtreme Gold Program. 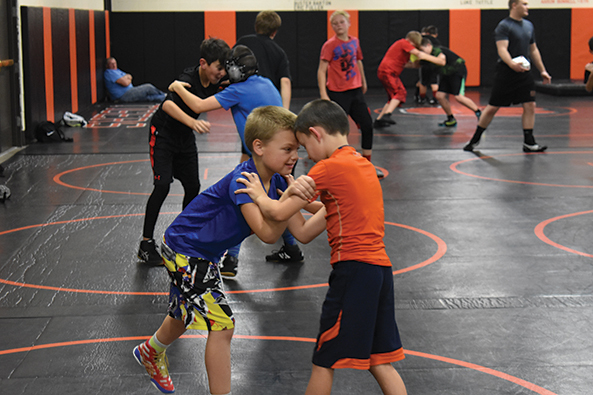 Sponsored by the Byron Park District and staffed by the Byron Wrestling Association, this program will focus on the basic skills of wrestling with emphasis on having fun while performing drills and techniques. Practices will be held during the week in the BHS Wrestling Room. This program runs January - February and will concludes with a dual wrestling meet.